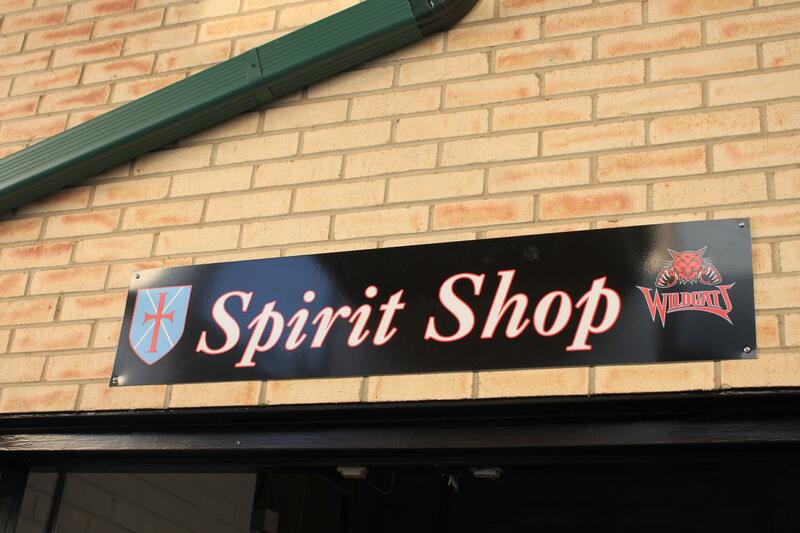 The Saint Andrew Spirit Shop is located just outside the front foyer and is open before and after school once a week. Spirit shop hours are published in the weekly newsletter. The Spirit Shop carries the official Saint Andrew PE shirt (required for grades 5-8) and the official Saint Andrew sweatshirts and fleece vests and jackets that may be worn in the classrooms with the school uniform. Additional products include Saint Andrew themed items such as t-shirts, caps, umbrellas, and much more! Seasonal products such as beanies and scraves are offered at certain times during the year. The Spirit Shop accepts cash, checks, and credit cards.